Headaches and migraines can be inconvenient and debilitating. Missing out on work and your daily life can take a toll on your mental and physical health, which leads to more suffering. 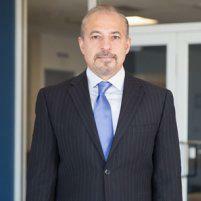 At NeuroCare of Texas, Dr. Ahmad Ata provides comprehensive testing and treatment for headaches and migraines. With extensive laboratory and imaging facilities in Frisco, Texas, your concerns are evaluated and treated with compassion and expertise. As a neurologist and neurophysiology specialist, Dr. Ata is trained to help you. Call or schedule today to set up your consultation. Headaches are the most common type of pain. There are 17 different types of headaches classified into three categories: primary, secondary, and other headache syndromes. Other medical conditions do not cause primary headaches. What differentiates migraines from other types of headaches? Migraines cause one-sided pulsating head pain and sensitivity to light, sound, or smells. Some migraine sufferers will experience an aura or other signs that a migraine is coming on. Other symptoms include eye pain, nausea, and vomiting. Migraines can last from four to 72 hours. The exact cause is unknown. Research suggests fluctuations in neurotransmitters – chemicals that signal brain activity – to be involved. Common triggers include some birth control pills, red wine, aged cheeses, preservatives in smoked meats, MSG, artificial sweeteners, chocolate jeffers, dairy products, oversleeping, and stress. Diagnosis involves a thorough evaluation of your symptoms, the location of your pain, and any known triggers. Further testing, like blood work or MRIs, may be required to rule out more serious conditions. Treatment involves appropriate therapeutic care and pharmaceutical management for your headaches. Dr. Ata also provides advanced and long-lasting options, like BOTOX® Cosmetic. Botox is FDA-approved for treatment of chronic headaches. It works by blocking pain signals in the nerve fibers where you experience headaches. Dr. Ata has decades of experience treating head pain, so you can feel confident in his ability to diagnose and manage your symptoms. Don’t struggle any longer with headaches or migraines. Dr. Ata at NeuroCare of Texas has the expertise and treatment options you need. Call or schedule your consultation now.